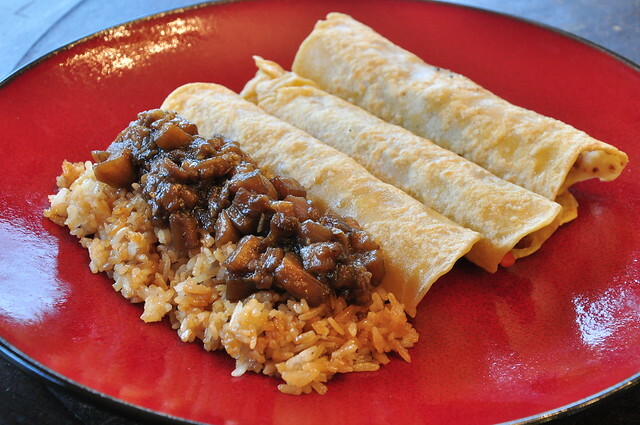 "A Spin on Oshitashi" From "Vegan Eats World" by Terry Hope Romero -- go buy it! 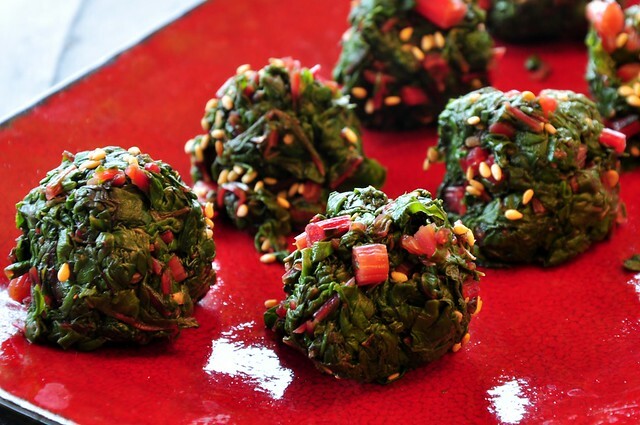 Made with chard instead of the traditional spinach, but a yummy one bite snack no matter what you use. 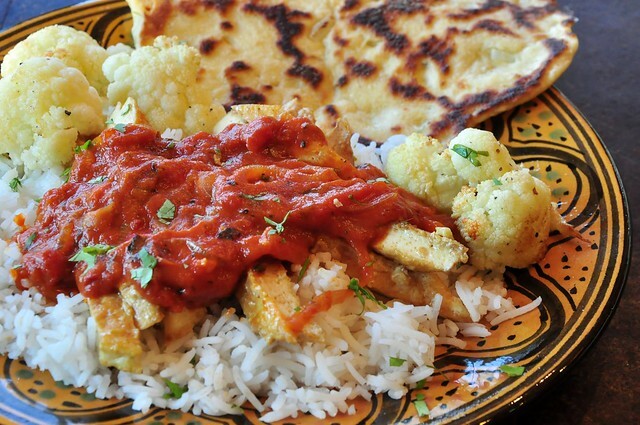 yep, this was pretty good... veganized the classic Julie Sahni Tikka Masala recipe with usual substitutes (smoked/grilled tofu, soy yogurt, Earth Balance, soy cream, etc). 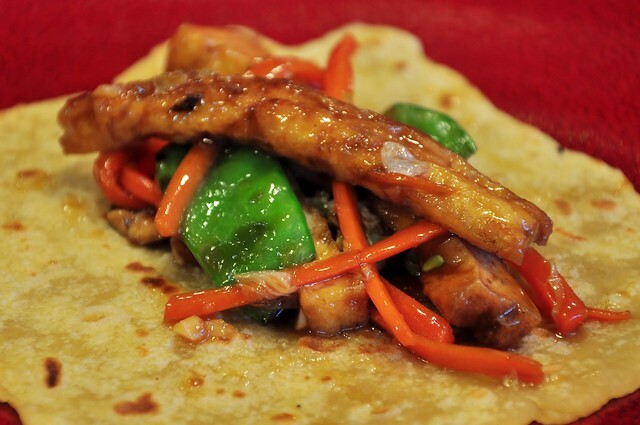 We love Moo Shu. but haven't made it for a while. What's hiding on the inside of the pancake? Tea-smoked tofu, shiitake, carrot, snow peas and napa cabbage. 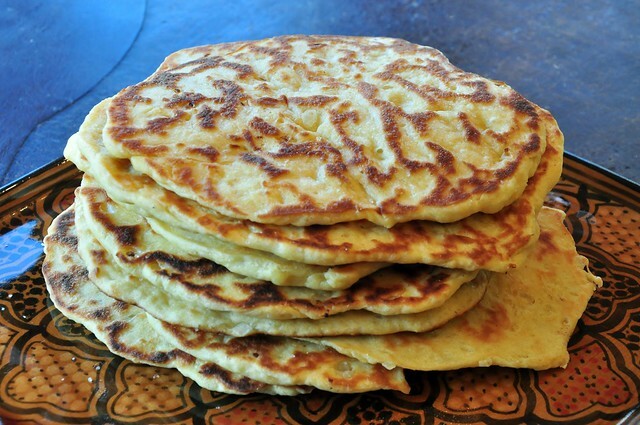 The ratio for the pancakes dough is roughly 2:1 flour to water, plus a pinch of salt, and 1 tsp sesame oil. 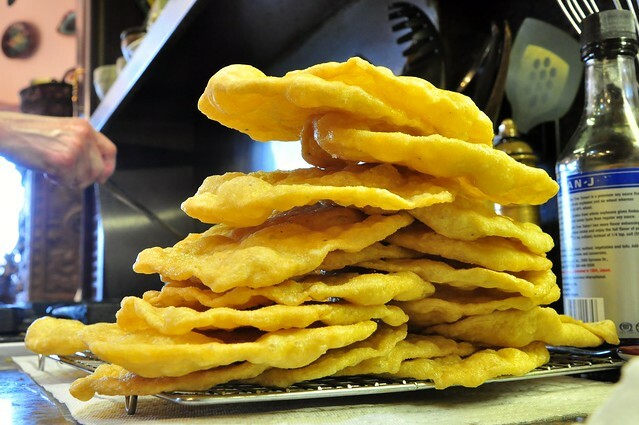 The trick is rolling them out the right thickness -- not so thick that they're chewy -- and thin enough that they cook evenly and are flexible. These fit that bill perfectly. We also had some leftover jasmine rice from a stir-fry earlier in the week, so we made sesame fried rice (sesame oil, tamari) as a base for the Szechuan Eggplant. Check for seasoning / heat level -- If it needs a little kick, we usually add a shot of sriracha -- and serve over the rice. Tea-smoked tofu, carrot, red bell pepper, celery, topped with a icicle radish. 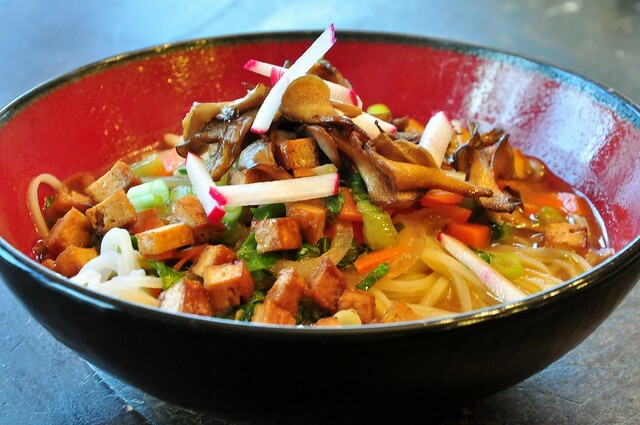 Made with shiitake broth enhanced with kombu, yellow miso, garlic, ginger and black pepper. 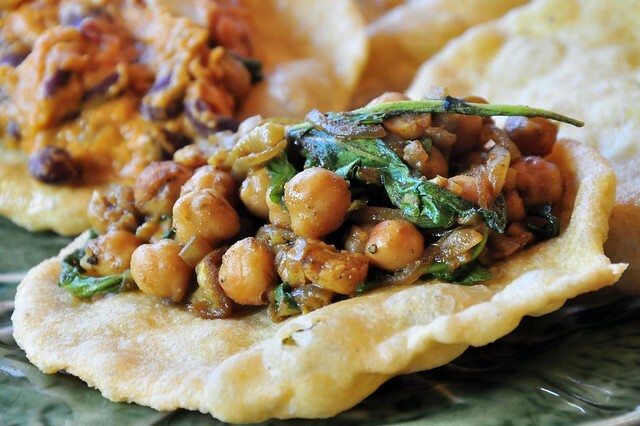 Tonight's meal comes via Trinidad & Tobago -- Doubles are an extremely tasty mixture of chickpea curry, chutney and hot sauce between two pieces of fry bread. We took the liberty of adding some wilted arugula to add to the pepper profile. 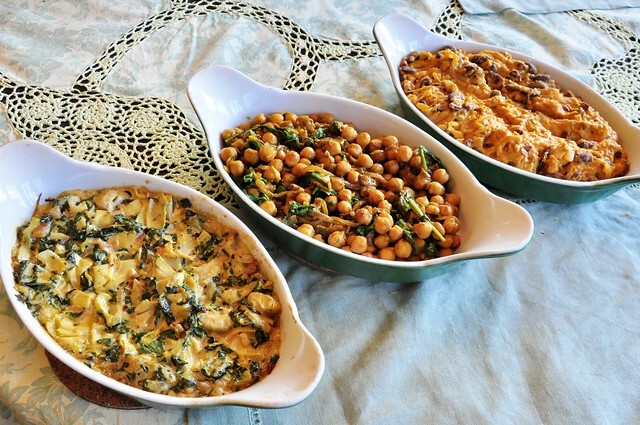 ...and added a batch of baked artichoke dip as well as a pumpkin and red bean curry for variety. 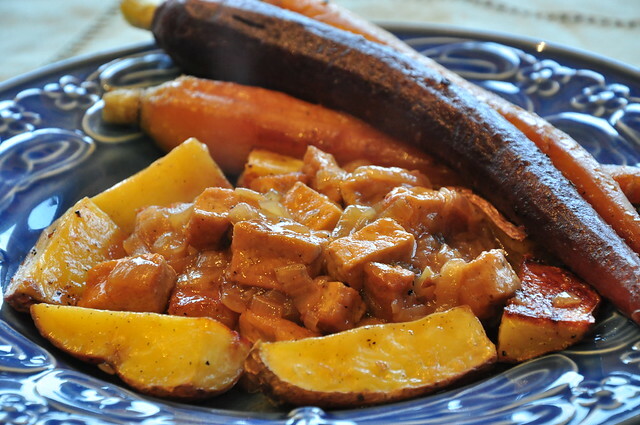 Bringing one back from the old days -- our riff on Julia Child's recipe made with alder-smoked tofu this time around, served with roasted potatoes and braised carrots. 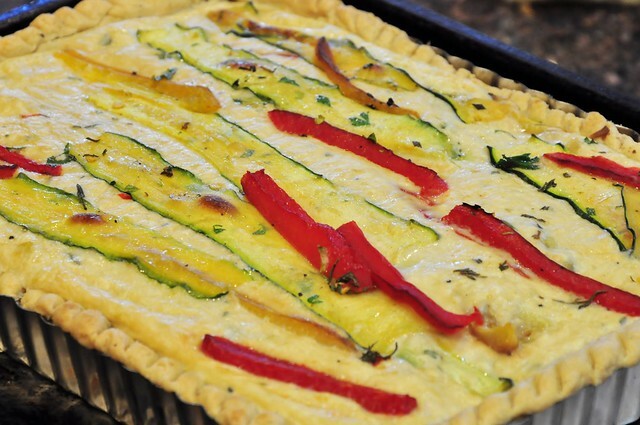 Along for the ride on the side was a zucchini and bell pepper tart. 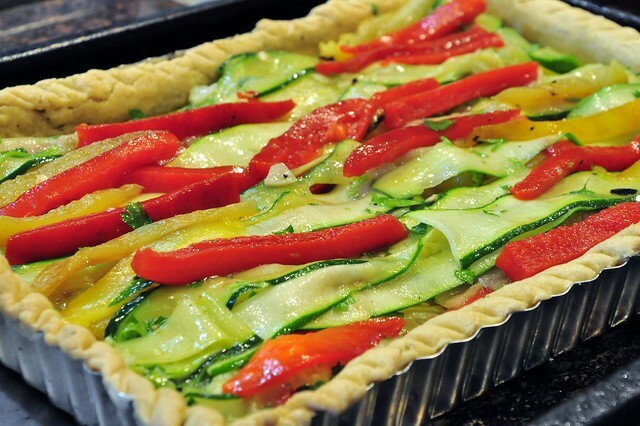 We added a bechamel sauce (2 tbs. Einkorn flour, 2 tbs. 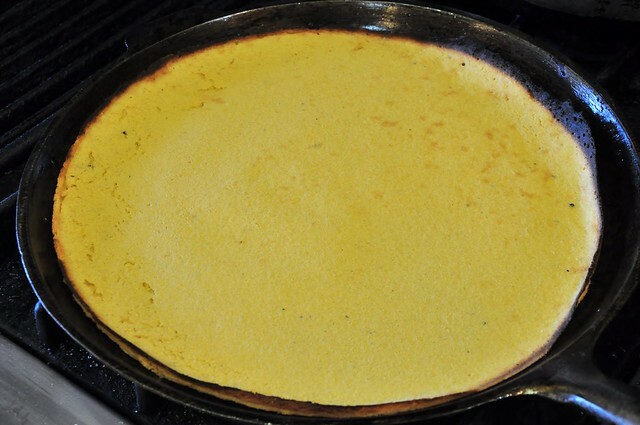 Earth Balance, make a roux, whisk in 2 cups rice milk until thickened, add a 1/4 cup of nooch and a pinch of salt and pepper, finally 1/2 cup of Daiya Mozzarella) and then popped in the oven. ... and here it is coming out. 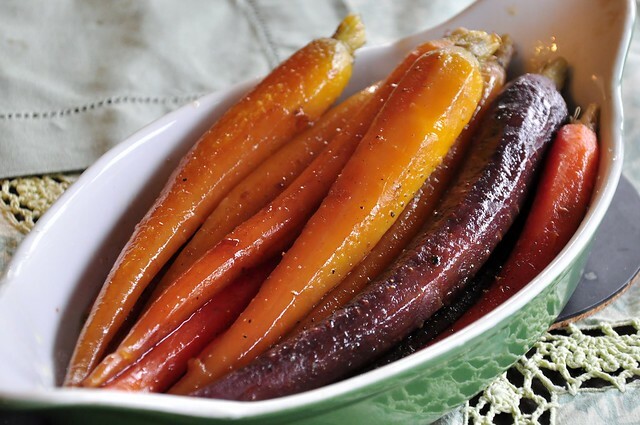 Also, these multi-colored carrots were beautiful and tasty. 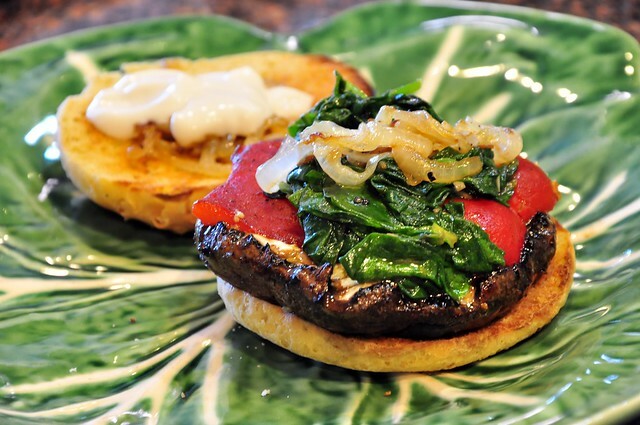 Grilled portobello with wilted spinach, caramelized onions and roasted red bell pepper on a homemade bun with a little vegenaise and a tiny bit of hot sauce... perfection. 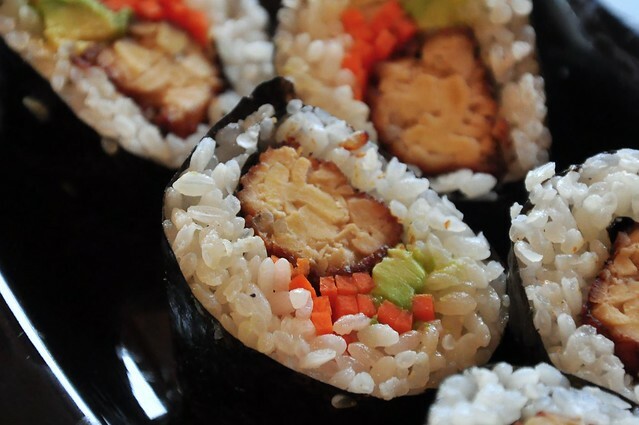 The tempeh is cut into four long strips, braised in a pan that has enough water to come up halfway on the side of the tempeh with the addition of a splash of sake (feel free to use mirin) and splash of tamari. The pan is brought to a boil, reduced to a hard simmer until most of the liquid has evaporated, about 20 minutes. Then the tempeh is carefully removed from the pan and drained. The next step is to deep-fry the tempeh in peanut/canola oil at 375° for about 1 minute, turning often, until nice and golden brown on the outside. Remove (carefully, it's still fragile) and drain on a wire rack. 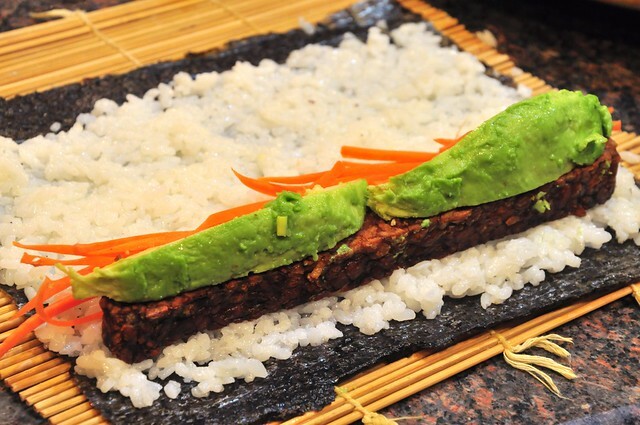 After the tempeh cools you can add it to your sushi roll -- we like to add carrot and avocado and cut on the bias for a nice presentation. Here's a similar shot when we made this back in January 2012.